If you or someone you know has survived a heart attack, chances are good that beta blockers were prescribed afterwards to help lower blood pressure and help the heart work more effectively. 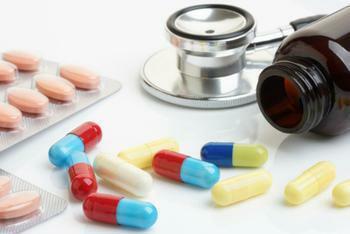 But a recent study suggests that these medicines aren’t always the best choice in every situation. Researchers from the University of Leeds say that beta blockers are best used when patients suffer a heart attack and heart failure, a complication from the event that damages heart muscle and stops it from functioning properly. However, their findings show that the vast majority of patients who did not suffer from heart failure were given the medicines anyway, and that it did not improve patient outcomes. "There is uncertainty in the evidence as to the benefit of beta-blockers for patients with heart attack and who do not have heart failure. This study suggests that there may be no mortality advantage associated with the prescription of beta-blockers for patients with heart attack and no heart failure,” said Chris Gale, a consultant cardiologist and professor of cardiovascular medicine at the University of Leeds. The study analyzed anonymized data from over 179,000 patients who had a heart attack but did not suffer from heart failure. The researchers found that 95% of the sample were given beta blockers after their cardiac event, but that the mortality rate one year later was statistically similar between those who received the medicines and those who did not. "If you look at the patients who had a heart attack but not heart failure -- there was no difference in survival rates between those who had been prescribed beta blockers and those that had not," said lead investigator Dr. Marlous Hall, a senior epidemiologist at the Leeds Institute of Cardiovascular and Metabolic Medicine. The findings raise the question of whether beta blockers are over-prescribed or medically necessary for certain patients, since some people experience side effects such as dizziness and fatigue from taking them. The researchers say their next step will be to conduct a randomized, controlled trial to corroborate their results.